Velo Cardio Facial Syndrome (VCFS) is a genetic disorder caused by the micro-deletion of a portion of chromosome 22. This disorder is one of the most common genetic disorders in humans, occurring in roughly 1 in 4000 births. The syndrome is also known by the name of Shprinzten Sydrome, as it was first diagnosed via a collection of findings made by a speech therapist named Dr Shprinzten. It may also be referred to as DiGeorge Syndrome and Craniofacial Syndrome. Velo Cardio Facial Syndrome is an autosomal dominant disorder. This basically means that in order for a child to be born with the syndrome, only one parent needs to carry the gene, resulting in a 50/50 chance of the child inheriting the disorder. But only 10-15% of children inherit VCFS. 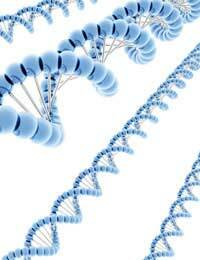 In the majority of cases neither parent carries the gene and the reason for the microdeletion is currently unknown. By breaking down the name of this syndrome we can understand a little more about the typical characteristics and symptoms. ‘Velo’ refers to the Velum, or soft palate; one common physical abnormality associated with the disorder is a cleft palate. ‘Cardio’ refers to the heart; again another common feature of the syndrome is the incidence of congenital heart abnormalities. ‘Facial’ refers to the many characteristic facial features associated with the syndrome, including a small head, almond-shaped eyes, and small mouth. Velo cardio facial syndrome can affect a multitude of body systems, and as such any person affected can have a number of abnormalities in varying degrees of severity. Some people may have very mild and barely recognisable symptoms, whilst others may have frequent, severe and very apparent problems. It is thought that velo cardio facial syndrome can be responsible for up to 180 different abnormalities. Therefore people with velo cardio facial syndrome can display many varying manifestations of the disorder. Other features include immune system dysfunction, scoliosis, hypoparathyroidism and infections of the middle ear. The syndrome can not only manifest itself in physical symptoms, but also be responsible for behavioural issues. These can range from psychiatric problems such as schizophrenia and bipolar disorder to mild, moderate or severe learning difficulties. Some children with VCFS may have learning disabilities. The actual difficulties encountered vary from child to child, and may be mild, moderate or severe. These difficulties tend to become apparent in the shape of speech and language disabilities, such as difficulty with words, idioms and meanings, and problems with articulation. Ability to learn can also be hindered by any number of health impairments and learning difficulties associated with the syndrome. These can range from inability to reason, impaired reading comprehension, hypotonia , impaired hearing and fine motor skill problems. Many children with velo cardio facial syndrome can attend mainstream education. Of those with learning difficulties, with the correct support staff and special needs education in place, they may still be able to attend a mainstream school. Although many children with this syndrome tend to be suited to smaller group settings, assessment of the individual child should be undertaken before determining any special needs. Again, the varying degrees of severity of learning difficulties varies from child to child, and as such a programme of support needs to be tailor made. The varying health and mental deficits associated with velo cardio facial syndrome may require special educational placements. For instance, some children with VCFS may require frequent surgery or regularly fall ill and as such a mainstream school may not be able to meet their needs. Parents should advocate for their children, and encourage self-advocacy where possible. Many children with VSFC go on to live fulfilling lives and realise their potential.